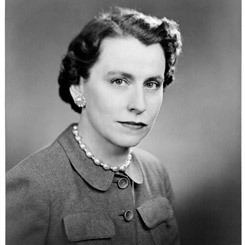 Image courtesy of Library of Congress Ten-term Representative Martha Griffiths of Michigan was one of the first truly career-oriented Congresswomen, having been a state legislator and judge before her election to the House. After Congress, she served as lieutenant governor of Michigan for nearly a decade. On this date, Representative Martha Griffiths of Michigan successfully released the Equal Rights Amendment (ERA) from the Judiciary Committee and brought the legislation to the House Floor for a vote. Griffiths’s tactical maneuver utilized a rare parliamentary practice called a discharge petition, in which she obtained the signatures of a majority of House Members (218 of the 435) to bring the bill out of committee and onto the House Floor for general debate and a vote. After Griffiths obtained the requisite number of signatures, debate on the House Floor began on August 10, 1970, where the bill passed that day by a wide margin. Later that fall the Senate voted to amend the ERA with a clause exempting women from the military draft. Griffiths and other congresswomen battled against the amendment. “There is no reason why women should not carry equally the burdens as well as the rights of full citizenship,” Louise Hicks of Massachusetts declared. “Indeed, most are willing and eager to do so.” Despite Griffiths’ efforts, the amendment effectively killed the bill in the 91st Congress (1969–1971); thus, the ERA process had to start all over again. The ERA eventually passed the House and Senate, but lapsed after the requisite number of states failed to ratify it.